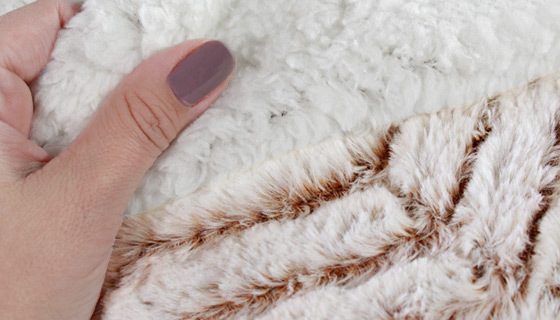 When we say it is soft, we just can't begin to tell you how soft it is... You are going to love wrapping yourself in this elegant Sherpa Mink Throw. It's just HEAVENLY!... GUARANTEED to make you say "WOW"
One side is a luxurious faux Micro Mink, the other side a plush, cozy faux lambswool Sherpa for warmth. It features a unique and elegant Chevron Cutwork design that adds style to any room. It is machine washable and dryer safe, which makes it easy to wash and care for. Great to cuddle up with while reading, watching TV, with a friend (even a fluffy one.. my cat loves this!) and more. Plus the beautiful pattern looks fantastic on any couch, chair or bedspread. You won't find anything like this in regular department stores. 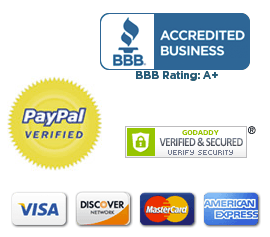 This is made exclusively for high-end stores like Barney's, Saks Fifth Avenue and Neiman Marcus. - Measures 50" by 70". - Exceptionally Luxurious and Superbly Soft to the touch! - It's a Gift EVERYONE will love! As soon as I received this throw,I snuggled under it and relaxed in the recliner. I definitely will not let my dog hop on my lap. My wife was a little skeptical until it arrived. She was amazed how warm and cozy yet not bulky or heavy! Good job...nice product! ITS SOFT AND COZY BUT LIGHTWEIGHT AND PLENTY LONG ENOUGH FOR A TALL PERSON. This blanket is so awesome I pursed several more for my special friends. Delightfully soft and comfortable. 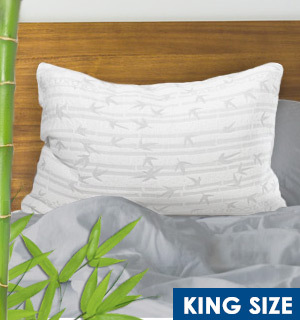 Perfect for spring and fall sleeping. I bought a second one of these throws because I like it so much. It’s very comfortable, warm, cozy. It is the best blanket I ever owned. My granddaughter loves it because it is soooooo soft and cuddly. Well worth the price. Big enough for a large person I’m 6’1” warm on the sherpa side and sensually silky smooth on the other. The picture doesn’t do it justice! A great gift. 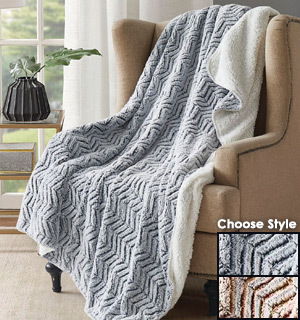 I ordered one of these throws and it has been made the favorite throw on my sofa. My grandchildren love it, it is sooo warm, they tell me from the 9 yr old to the 20 yr old and in between. Ultra soft, large throw. Great price.. We love this throw!! Wow! Talk about soft! I love this throw. Its nice and warm too. The only thing I didnt like was the cast off puffs. I simply put in in my dryer and that took care of that! I was hesitant to purchase this throw though I call it a blanket for an adult. It is so WARM and soft- it makes u purr just to cover yourself with it. I was hesitant because I didn’t believe it could be that soft and warm. But I order 2 - one for my husband and one for me. My husband loves his throw so I’m glad I got him one in gray and mine in brown. I decided to buy them and I figured I returned them if they didn’t deliver. But if you are thinking about it- it is worth the price and then some. I recommend this beautiful and warm throw. Soft & warm, perfect for lounging or the car for passenger nap. Yes this large sherpa throw is very soft but yet warm. 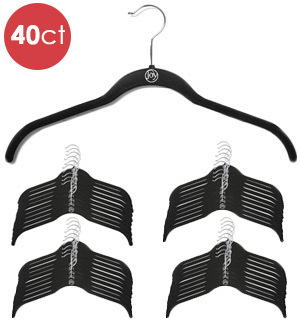 It has a very luxurious look and had a great price when I bought 2 them. Have had some others but price of my one was as much as purchasing these two. This is the most comfortable throw blanket to have. We use in our living room while snuggling up to watch TV. Much better quality than the snuggie or snuggle blanket that came out a few years ago! Ordering 2 more now!! This throw is fabulous! My dog and I both love it and enjoy snuggling in it every day. 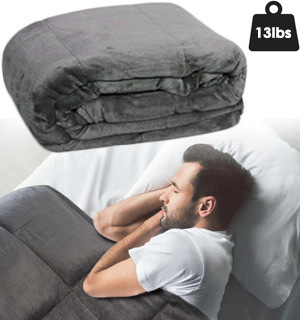 I bought one of these blankets “just to see if it lived up” to the description on the website. It was so great that I ordered two more. One I gave as a Christmas gift and my friend absolutely loved it. Then I gave one to my elderly neighbor 86 years young and he loved it. My dog loved it and pretty much claimed it as her own so she has her own and I have my own. I am going to get two more because they are so warm and cozy and don’t shed. And, who knows, they may not be available forever. This is the best throw blanket I have ever purchased. The Faux Mink Sherpa Throw is better than expected. My wife loves it and now takes it to bed with her when nights are cold. It is remarkably soft and comforts your body with a delightful warmth that is like having someone you love near you. This throw is like comfort food for the touch. It is sinfully cosy! 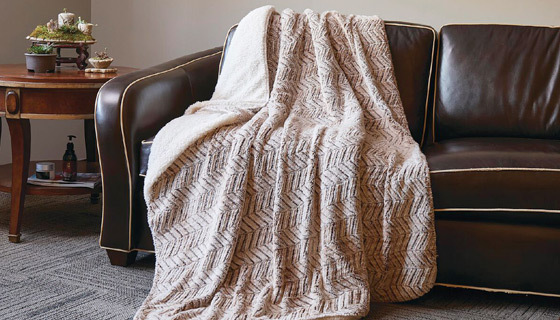 Snuggle up with this throw when you want to banish the blues. A perfect companion for binge streaming on your TV. Now I need another one for my dogs. They think this throw is the best place to nap and I feel guilty always pulling out from under them. Extremely soft. Nice size. Everyone of the adults, like it as much as the grandchildren their blankies. The softest, most warmest,BEST THROW in My Life and I am 72 years old. So Ive had a little experience. And the price was the GREATEST. Only thing I wish I had two! in fact we intend to order more for gifts! My wife and I fight over who gets to use this one! THis Sherpa Throw is better than the others we own! Better loft and weight. My wife loves it too! So buy 2! I LOVE this blanket as does my whole family!! Itâ€™s not only lovely but so soft and warm!! And hardly sheds at all . . . We just did an initial rolling of it with our lint roller and hardly any shedding since!! Might need another since we all fight over it. Love my new throw. Took it with me on vacation and it was perfect in the car. My husband loves to drive with the window down while I freeze. Not any more! It was so soft and cuddly. My husband is always cold, but not with this blanket. It really is super warm. This throw really does feal like mink! I bought 2 for Christmas presents and the girls loved them! Wish someone had gotten me one. Its a must have for your sofa. Super soft and warm. Gave as a gift. I ordered this throw and as soon as it arrived, I was so impressed that I quickly ordered another one as a gift. It is so wonderfully soft and comfy. I love it! Cuddling in front of the TV is one of her most favorite things to do and this Sherpa throw is now her most favorite item to have while she relaxes. awesome product and great price would like another one. rgds deisa. I have bought 3 of these, one for myself and 2 for Christmas gifts. I love mine and Im sure they will too. They are very pretty and very soft and a good price for a large throw. Highly recommend. This throw is the best purchase I have ever made. This item is very light in weight; very soft; extremely warm. This is a must have item. I am always cold , with this I am finally warm . I wrap myself in it to read and to take naps . I have recommended this to others wo have seen mine and fell in love with it. My wife keeps trying to steal mine , I wish I could afford one for her .keep up the good work. From a very satisfied customer. Wasn’t sure what to think when ordering the blanket. It is far more that I could ever expect. It is soft and cuddly and you can wrap yourself in it during those cold nights watching tv or reading. I wish I could wear it wrapped around me all winter. And, it’s beautiful. I got the gray. I was looking forward to receiving the throw and I was not disappointed. My nap-taking was enhanced with the cozy throw. Super soft and cuddly Got some for other people, they luv them as much as I do. A great buy. MY WIFE LOVES THIS PRODUCT. SOFT WARM AND VERY COMFORTABLE. IT IS A BARGAINÂ AND SHE IS SO HAPPY WITH IT. THANK YOU FOR THE AWESOME PRICE FOR SUCH A LUXURIOUS ITEM. This throw is so soft and cuddly, I just LOVE it... so much so that I bought them for all my family members for Christmas this year. This blanket is by far the softest blanket I have ever felt - and surprisingly warm for how light it feels. I really like it. FANTASTIC item...warm, SOFT, very plush! This is a reorder for me..previously purchased 4 for my immediate family..ordered an additional 4 for Christmas gifts this year. Looks great and feels even better. I would recommend this highly. The love I have for this Throw is exibited in the fact that I bought three more. One each for three of my sisters. One I received this I used it right away and fell in love with it,it is soooo warm and I might add that it is soft too! ! ! I would recommend to every one. Softest throw ever owned! My grandson has autism and simply loves really soft clothing. I thought the throw would be a great addition to his room. I also bought one for my husband at the time. This purchase was made last Christmas. One of our dogs kept pulling the throw off of him while he was sleeping and made it her own, as he would find her curled up in the middle of it when morning came. So, I made another purchase of these throws, one to replace his and one for myself. We both love how soft and warm they are and have to put it under another cover so the dog wont take that one too. I highly recommend this product to anyone looking for a soft, lightweight cover, that is reasonably priced and comes out just as soft as when you purchased it-even after being laundered. crazy soft and light and also warm!! So soft and warm!! And big enough for two peoples to cuddle closely to watch a movie... but i still bought two, i like having one to myself! Thinking of handing these out as presents! We have purchased probably 10 of these Sherpa throws over the last 2 years for friends, family, and personal use. They are the best. I love my throw! Everyone complimented me on such a wonderful purchase that I ordered 3 more to give as gifts. Not only is the throw beautiful in appearance, but it is also soothing and warm. I absolutely love these. Sooo soft. I have 2 and recently ordered 2 more. Thank you so much for good products. if you want to feel warm and snug, this is absolute heaven. thank you. this blanket is not only plenty large, it is the softest I have yet to find -- and Ive purchased quite a few over time. I love it. thanks again. It is nice, but not a good value for the price. I thought I was getting a substantially heavy piece, but i have others like it in weight, and paid less for them. This is the 2nd one that I ordered from PulseTV. My husband and I would keep fighting who got to have it when watching a movie. For Valentines day I got him his very own....life is good! The quality of this throw is so amazing that my daughter also ordered one. I bought one for myself for Christmas to wrap up in at night and the wife stole it and would not give it back so I bought another. Nice quality and really soft. I bought a blanket from Korea quite a few years ago. I was looking for something that matched if softeners, warmest, Andt size. This blanket I bought from you come very close and is very comfortable and I recommend anybody you experience the Korean blankets this is a greatMatt lives up to its reputation. Got one a year ago and just got another. Everyone has to have one, even the dogs. My whole family loves these blankets. They are super soft, super warm, and big enough to cover your whole body. The only reason I did not give 5 stars is because the front side and the back side are not attached; so they slip a lot. I love this new throw and use it everyday in my chair when watching tv. I not only can cover myself but theres room left over for my 3 little dogs. They love it too! We now have 2 of them....super soft and warm...! This was the second of these blankets I have bought. The warmth and softness is unbelievable. Due to a disability, I must sleep in a recliner and the blanket is perfect for me. IF I can keep my cats off of it! They knead their paws constantly on either side. I cant say enough good things about these blankets. Do yourself a huge favor and get one or two! Just the right size and extremely soft! 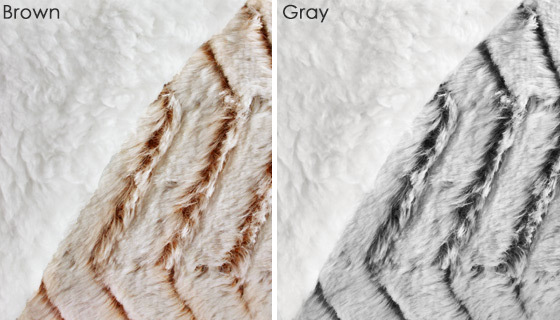 I ordered this wonderfully soft mink throw for Valentines day. My husband wanted a golf club but I wanted this throw and it did not disappoint in the least. Not only is it beautiful but it is soft and very warm. Love LOVE this mink throw! Mine also is slightly different from the one Anisa is showing, but I like it better. It doesnt have the ridges, but it still has the chevron pattern. It is plush through and through, and I simply Love it. I almost didnt buy this. Glad I did. Thought my 88 year old Mom might like this for Christmas but she has plenty of blankets. BUT this one is stylish and soft like bunny fur. She loves it. Only problem I have with it is I wish the 2 ply were tacked together or stitched in some way. I havent laundered it yet and wonder how it will hold up. Luxury Faux Mink Sherpa Large Throw. I bought two of these & have to agree with other remarks that they are very soft & Cozy. However, I wish that I could have had the exact one that Anisa was advertising. On the package hers said SHERPA THROW.Chevron cutworm. On my package it said Faux fur Luxury Plush.I can definitely see the difference.Mine doesnt seem like the same cut. However, I will keep them as they are soft & one was a gift the other was for my daughter who likes the feel of it.I just wish that I could have had the Mink Sherpa as advertised. I ordered 2 of these blankets, one for me, one for the hubby. They are VERY soft and VERY warm. Only draw back is the two pieces sewn into one--not a big issue just a little annoying BUT, we loved them so much I just ordered another for my son. I got several of the throws last year and everyone loved them so I got several to give this year also. They are so soft and warm. Love them! This is the softest, most snuggable throw Ive ever had, and will probably order more. I recommend this to everyone who is cold and would love to have something that just makes you feel hugged and loved. I had bought one of these back around Christmas last year. I bought it for myself. Once I opened it, I could not believe the wonderful comfort it gave. Not only was it the softest throw I had ever come across, it was just something more....True comfort. Recently my sister found out that she has to go to dialysis three times a week. She is 78 and very weak. I spoke with my niece and she told me how cold the medical center was and my sister was uncomfortable every time she had to go there. I thought that I would get her one of these throws to take with her, not only is it warm but it gives comfort to the person who has it on. Needless to say she loved it and it goes with her each and every time she has to have treatment. I cant explain it.....it gives comfort. WONDERFUL product. Based on others reviews I purchased two. I am saving the second grey blanket for a sacred gift to a great friend. This is an amazing find. Really pretty, still so soft after two months. My cat has taken my throw. I had ordered the brown throw and used it to put over my lap when Im at my computer. Well, it seems the throw fell to the floor and my cat, Angelina, discovered it and wont give it back. Its worth getting another as hopefully she wont be all over my desk. Get one or two or ten, these throws are simply the softest and the warmest ever. I love mine! I bought 2 of these, one to give a friend as a birthday gift. We both love our throws and use them as blankets. I sleep with mine every night and sometimes use it during the day when Im sitting in my recliner. Yes! This is incredibly soft and I love it. However it is only sewn around the edge and not tacked down anywhere else so the two sides are always coming apart. I had to take it somewhere to have them sewn together better. It was worth it because I do love it. 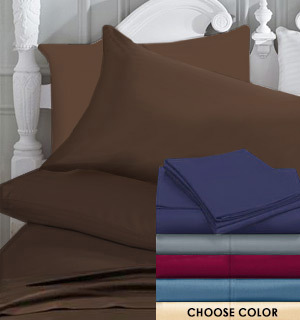 I bought one of each color for my husband and I to cuddle up with this winter. Not sure which side I like better. Love to lay it over my legs, and then rub the top faux mink against my face. My husband really likes it as well. Get 2, and get a discount!